Woke up one morning. On holidays with my girl. Peaked out the Barbados hotel window. 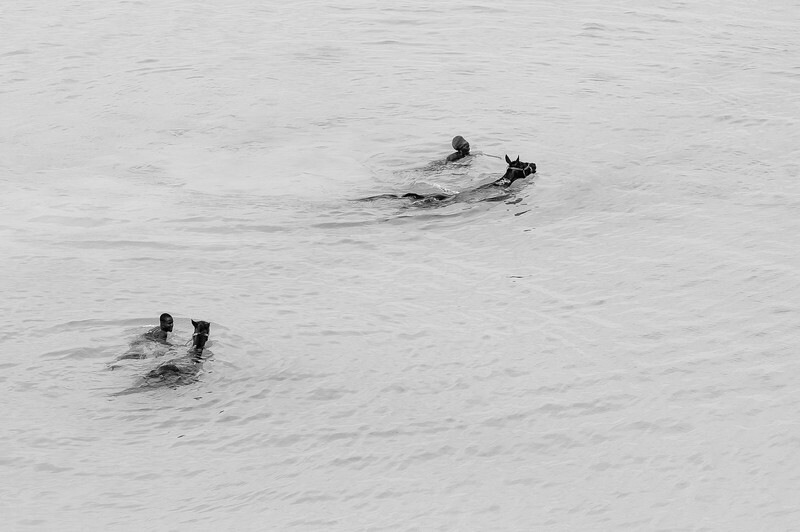 Two guys, out swimming with their horses. Turned out they were race horses, and had a daily bath every early morning, around 6 am. Yes, I was up early.